Churchyard Beetles, or as they are sometimes called Cellar Beetles are flightless, long-legged, nocturnal beetles which can be recognised by the pointed extensions at the ends of the wing casings which looks a bit like a tail. They are entirely black in colour with the exception of the mouthparts which have an orange fringe. 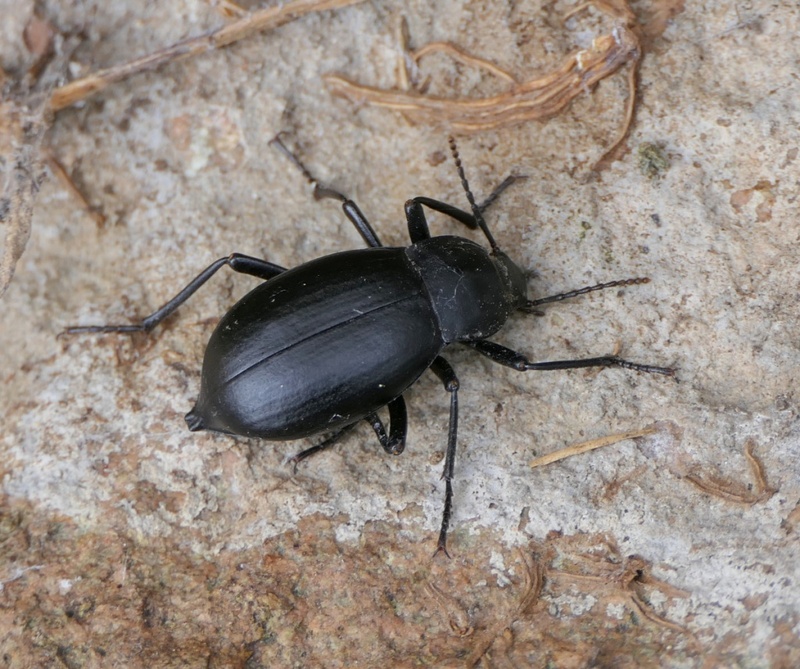 Other members of the family are similar in appearance but in Blaps mucronata, joints 3 to 6 of antennae elongate. Often found in association with human habitation. Dark and damp habitats such as stables, barns, sheds, caves. Although widespread it is quite scarce in Britain and possibly declining. Uncommon in Leicestershire and Rutland. There were approximately 9 VC55 records for this species up to March 2015.